The product catalogue gives a good overview of our portfolio. Feel free to contact us if you need additional Information. 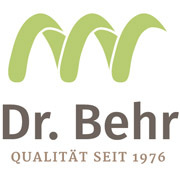 Your message will be sent directly to Dr. Behr GmbH and will be answered at their discretion.